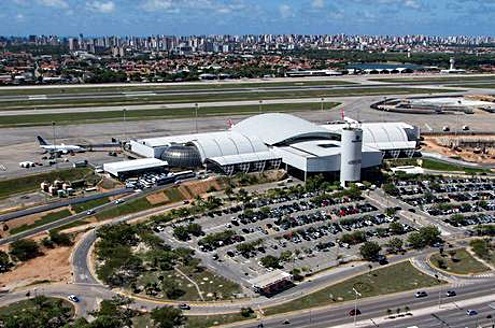 Fortaleza Airport is a modern structure. Remodeled in 1998 and again in 2014 to handle up to 2.5 million annual passengers. The terminals are air conditioned and kept very clean throughout. It has a well organized floor plan and isn't very big. So it's really easy to get around, and better yet, get in and get out of! 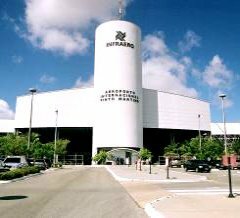 HISTORY : The Fortaleza Airport runway was built in the 1930s and used by the Ceará Flying School until 2000. During World War II, the airport was an important military base supporting the Southern Atlantic Allied Forces. In 1952 the original name, Cocorote Airport, was changed to its present name Pinto Martins International Airport. In 1966 a passenger terminal and apron were built. Those facilities are at present "The Old Airport" or in Portuguese " O Aeroporto Antigo" and provides the necessary space for general aviation operations by small aircraft and helicopter flights. From 1974 to December 2017 the airport was operated by Infraero. It was auctioned on March 16, 2017 to Fraport AG of Frankfurt, Germany for R$ 425 million with a 30 year contract. 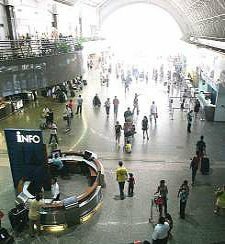 The contract includes plans to reform the current terminal and terminate an existing structure under construction and abandoned by Infraero. The contract also includes extending the existing runway and completing the passenger terminal abandoned by Infraero. Once you have your bags and have made it through the swinging doors. You will find yourself on the main level which sits between the upper level and lower (ground) level. If you continue across to the other side of the terminal and exit the building you will see the taxis lined up along the sidewalk. Buses to the city center are available on the ground level. If you have luggage or arrive late in the day they would not be the best choice of transport! There are no direct city buses to the beaches. 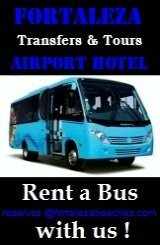 For Jericoacoara or Canoa Quebrada the Fortaleza Beaches buses and vans depart the Fortaleza aerea hotels between 7:00 a.m. and 08:00 a.m. 7 days a week. Payment is upon arrival in your destination. Reservation required. 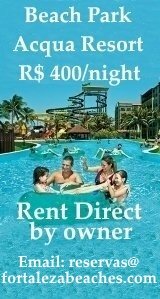 Fortaleza Airport to Canoa Quebrada R$ 50.00. 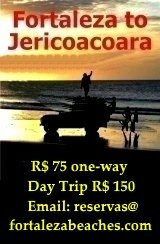 Fortaleza Airport to Jericoacoara R$ 75.00.
on to the Departure Lounges. Is available on the Main Level. Short Term and Long Term Parking is available on the Lower Ground Level. The Rates are posted alongside the cashiers at the entrance to the parking lot. R$ 12.00 up to 1 hour, after first hour, R$ 3.00 per hour, R$ 50.00 for first (24 hours), after first day, R$ 40.00 per day. and Destinations from the Airport. The BOOKING.COM reservation service is free of charge. Best rate guaranteed. The reservation system is secure and personal information is protected. 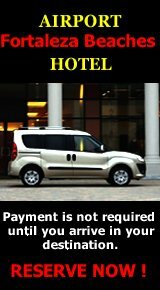 Payment by clients is always directly with their chosen hotel and in accordance with that hotel’s reservation policy.